When it comes to Fresh, I love every one of the lip treatments. (See here and here for proof.) 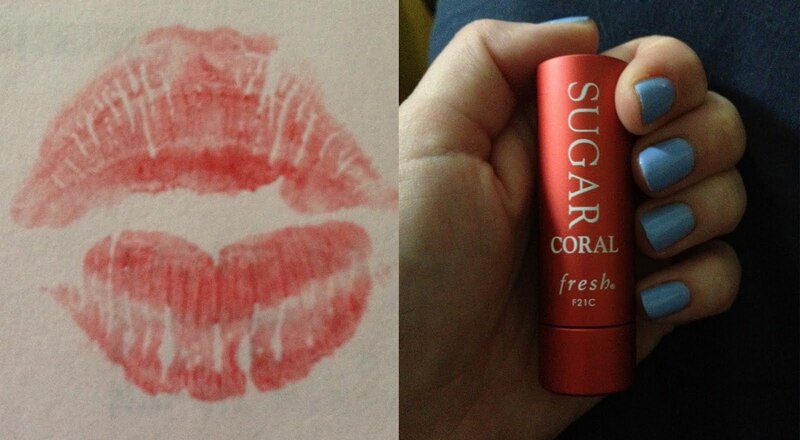 But recently, I'm totally obsessed with Fresh Sugar Coral Tinted Lip Treatment SPF 15. I absolutely love everything about this iteration of the Sugar Lip Treatment ... maybe even more than the original, if that's possible! The color is super flattering -- just dark enough to make a statement, but not too crazy for everyday wear. It glides on smoothly and easily, without any waxy feeling left behind -- which I've found some of the other Lip Treatments do. And it moisturizes for hours, even when you're eating and drinking! It's just a bonus that the color stays put, too. One thing's for certain -- this lip balm definitely isn't leaving my makeup bag for awhile. Or ever. Fresh Sugar Coral Tinted Lip Treatment SPF 15 retails for $22.50 at sephora.com.